It is a truth universally acknowledged that a hipster in need of an artisanal coffee will find their way to Bree Street. 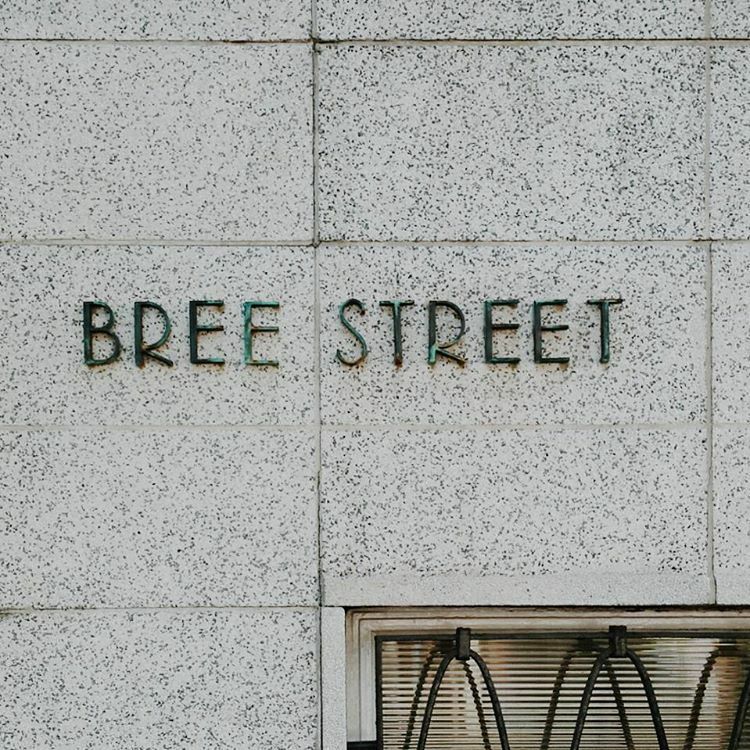 Bree Street is currently Cape Town’s trendiest road, with the highest concentration of hipsters in the Mother City: there’s no shortage of beards, hand-rolled cigarettes, and bespoke everything. But it also captures that old ‘main road’ feel of yesteryear, with upmarket crafts, beautiful architecture, and owner-run restaurants and bars. Previously known as Sababa, this delightful little deli has an extensive menu in a small space. Help yourself to servings of Mediterranean and Middle Eastern foods from the buffet-style table. Plates are weighed and charged accordingly. There is some seating outside, but be prepared to take your food on the go. This is the perfect place to grab a quick bite, and they have a good variety of vegetarian options. Just remember to leave some room for the desserts! Right next door to Olami, you’ll find Missibaba. Missibaba is well-known locally for their bold bags and accessories. Each design is only produced a limited number of times, so you know your purchase is distinctive and unlikely to be found on someone else’s arm. They also work with the iKhaya Trust Centre (outside Stellenbosch), employing local women to create jewellery and embellish leatherwork. Don’t be deterred by the name of this establishment! In 1918, the Spanish influenza pandemic swept through South Africa, claiming half a million lives countrywide. In Cape Town, orphaned children gathered at St Paul’s church on Bree Street, which later became an orphanage for boys. Orphanage, then, takes its name from this piece of history. It’s a well-known haunt for the after-dinner and after-gig crowds, serving up delicious cocktails, and occasionally live music. Check out the events section of their Facebook page for more information about upcoming acts. If you’re looking to take home some unique textiles and home décor items, Skinny laMinx is the place to go. With an eclectic mix of Scandinavian-meets-African inspiration, their fabrics sport fun but simple designs in bright colours and cool greys. Pick up something small for your suitcase – like a scarf, purse, or pillowcase – or commit to redecorating and buy entire reams of fabric or wallpaper. This gem is in Parker Cottage’s restaurant guide – and for good reason! Birds Café offers fresh, elegant foods: salads, pies, soups, and quiches make up the staples of the menu, which changes seasonally. Big communal tables make for a fun and informal atmosphere. Grab a brunch or lunch here, but be aware that dinner requires a booking. The Cape Town craft beer scene has exploded across the city. Treating beer with a sophistication usually reserved for wine, the Weinhaus + Biergarten is must-do stop for beer lovers on Bree Street. With a good-but-not-overwhelming selection of beers, the atmosphere at this venue is relaxed and informal. This is a popular spot for locals to enjoy a drink at the end of the day. Relish a cold brew on a warm day in their outdoor seating area, or stick around for their regular live music acts – typically blues, folk, and acoustic. See their Facebook page for details about upcoming bands. The name ‘Bree’ is an English derivative of the Dutch ‘breë’, meaning broad or wide. Like many old city centre streets in South Africa, it was built to allow ox-wagons to do a U-turn. About halfway through your walk down this road, you’ll find Heritage Square (on the corner with Shortmarket Street). In the 18th century, this square was where residents could buy guns, wine, baked goods, tobacco and snuff. It was set to become a parking lot, but thankfully became part of the city’s renovation project in the 1980s. Adjacent to Heritage Square is Riebeck Square, which sadly did become a parking lot. However, you will find St Stephen’s Church there – allegedly the only Dutch Reformed Church to bear the name of a saint. It was originally built as a theatre in 1800, only to become a church and school for freed slaves circa 1838. In 1965, it was declared a national monument. The Youngblood Arts and Culture Development Foundation, founded in 2010, gives up-and-coming South African artists the capital and exposure they need to make a name for themselves. Known as the ‘Beautifull Life’ building, their Bree Street location is a multi-purpose space: a gallery, workshop, dance studio, performance space, and bistro. A portion of proceeds from both the restaurant and shows go back into the foundation, helping to fund further arts and culture projects in the city. Pop in to see their latest exhibition, or check their Facebook page for upcoming events, like swing-dance classes, musical performances, and art workshops. Once you’ve had your fun on Bree Street, you can head towards the De Waterkant, or steer back towards Long Street, where you can catch the MyCiTi bus back to Parker.